Whoa! Turns out Brett Kavanaugh’s accuser is a leftist CA professor who donates to Democrats and liberal causes. The lies and corruption of the Democrats in Congress have become so transparent that We the People at home are screaming at our televisions, yet the Republicans do the gentlemanly thing and play along. The newest allegations against Brett Kavanaugh go back nearly four decades when he was 17. 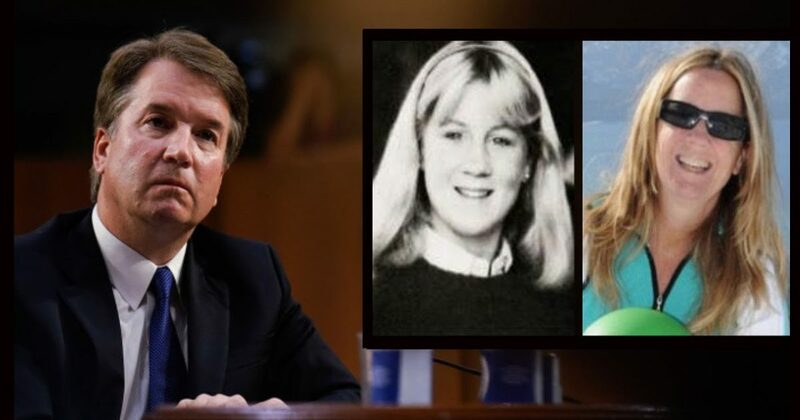 A woman, who was a 15-year-old girl then, claims that Kavanaugh sexually assaulted her at a party that he denies even having attended. As it turns out, Christine Blasey is little more than a political hack, a leftist California professor who donates to Democrats and liberal causes. Yet, the Democrats in Congress are presenting her as a poor, nonpartisan Me Too victim of male sexual abuse. So, another he-said/she-said is obstructing the functioning of our government to appease the Democrats, who apparently have thrown this last-minute scumbag before the committee to halt the confirmation process in the hope that Kavanaugh will not be confirmed until after the midterm elections when the Democrats believe they will control the Senate and be in a position to vote Kavanaugh’s confirmation down. Good luck with that. While some pundits see a chance that the Democrats will regain the House, the Senate is a different matter with the vast majority seeing it not only staying red but likely increasing the GOP majority. With no concrete evidence of Blasey’s allegations, the committee should dismiss this transparent subterfuge immediately and proceed with the confirmation vote on schedule. Just in. An anonymous source is alleging that Brett Kavanaugh once thought about stealing an extra helping of dessert when he was 7. He didn't want to disappoint his mom, so he didn't do it. Diane Feinstein says the fact that he thought about it disqualifies him from service.